Set against a clear and vibrant sky, the macro painting of the trees dimensionally float above the canvas. Meant to reference the infinite and the created these works pull you in deeper and deeper into the smallest detail. 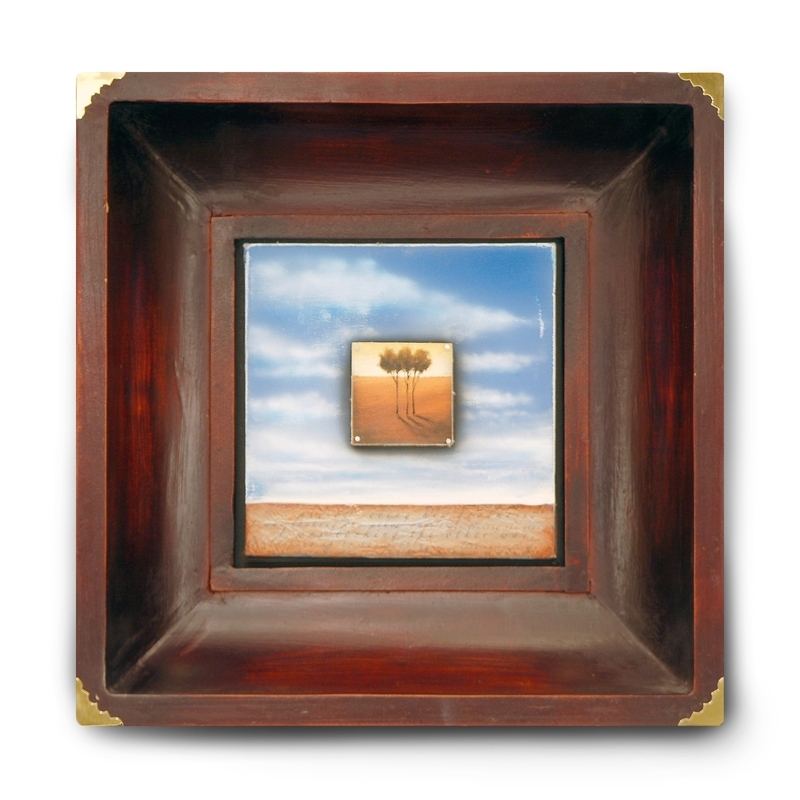 Like layers of meaning these pieces are built from the back forward with the use of scripture on parchment as the ground, and in perspective you move to the sky with vibrancy shows the infinite of God, the landscape being the created world encapsulating life.